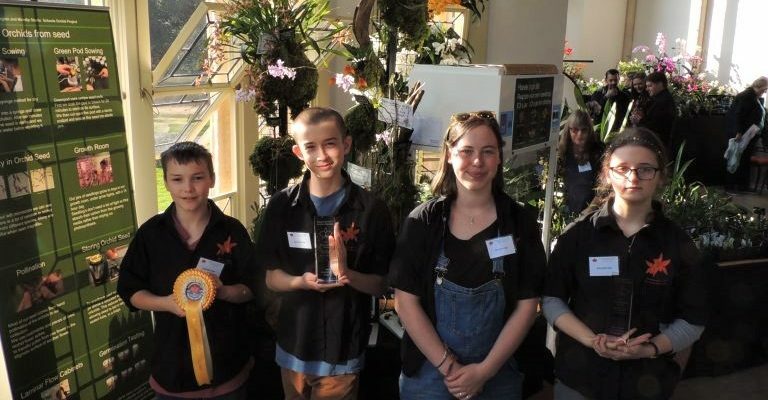 The Orchid Project students were again celebrating success at the Bournemouth Orchid Society Show on 30-31 March, adding two awards to an already impressive collection. Best Professional Plant for their Coelogyne cristata plant. Best Professional Display for the unique combination of a working propagation laboratory and wonderful orchid species from our greenhouses. A massive well done to our student team – Chloe, Tallis, Harris and Ed and of course the adult team to.